Even after his death, the King of Pop still is an inspiration to many. 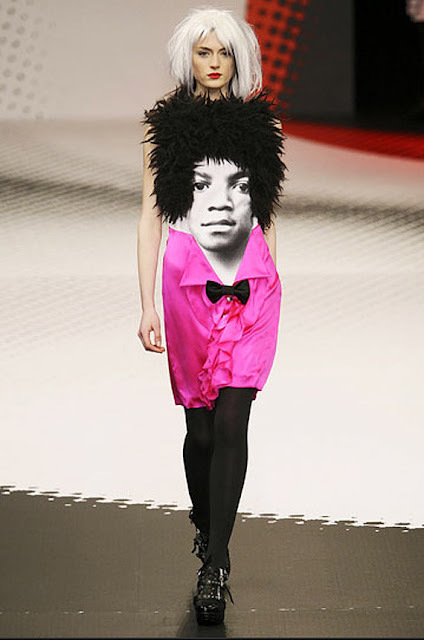 I spotted this dress at Jean-Charles de Castelbajac and, even though I'd look like a total clown, would wear it in a heart beat. Love that dress! Thank you for your comment!